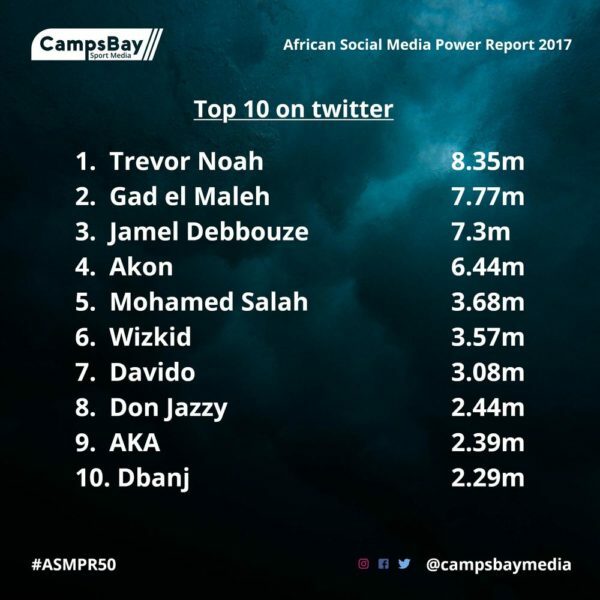 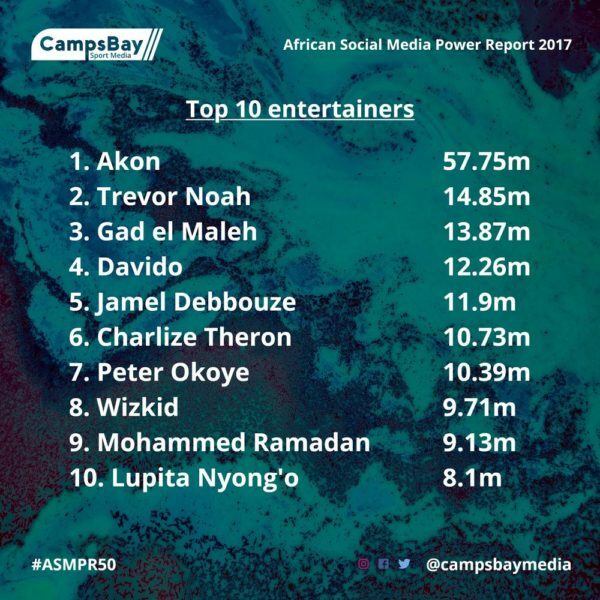 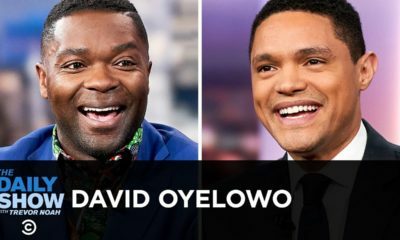 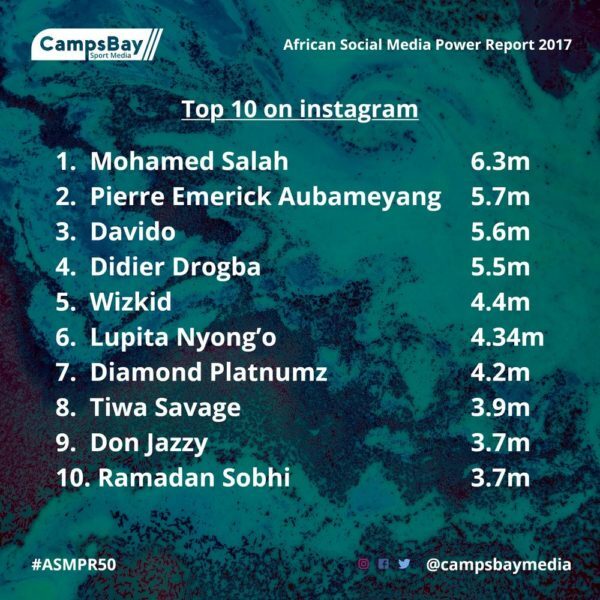 Nigerian singer Davido and South African comedian Trevor Noah make the list of the most followed Africans on the social networks Instagram, Facebook and Twitter, according to the African Social Media Power Report: Top 50 Footballers and Entertainers released on Friday, January 26, 2018. 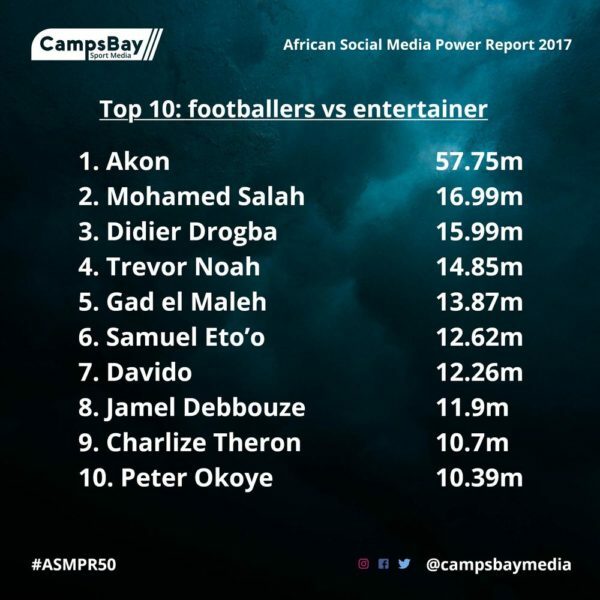 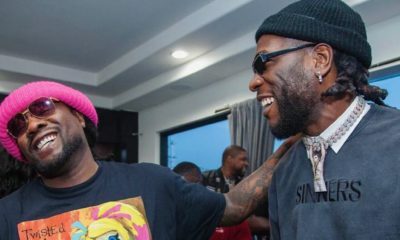 Personalities from 12 countries are represented on the list with the top 10 places filled by Akon, footballers Mohamed Salah and Didier Drogba, Moroccan stand-up comedian Gad el Maleh, Cameroonian footballer Samuel Eto’o, Moroccan actor Jamel Debbouze, Nigerian singer Wizkid and South African actress Charlize Theron. 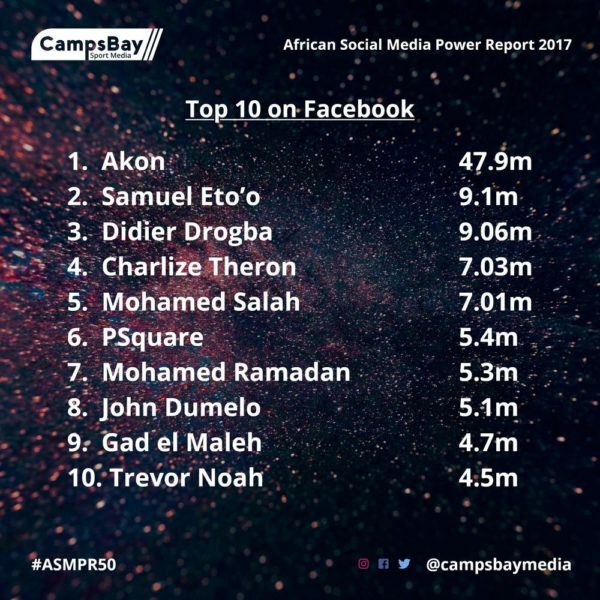 On the African Social Media Power Report: Top 50 are 13 actors/actresses, 14 singers, nine rappers, eight footballers, four comedians and two music producers/DJs. 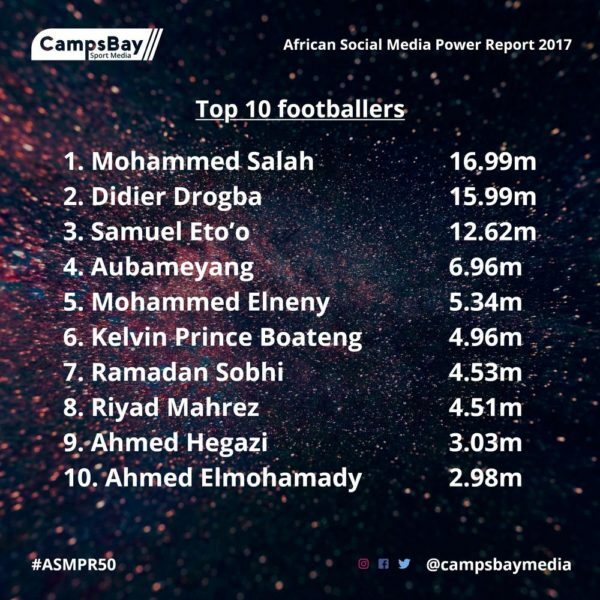 The report also includes a list of the top 50 African footballers and top 50 African entertainers on the three social media platforms in the full report that can be downloaded HERE.